Imagine a landscape painting, an old master: a monolithic, alpine expanse, crystalline with ice and snowfall, trees weighty under wintry heft. On the horizon, the glow of a distant village. The hint of a pathway weaves through the mountaintop, suggesting a journey well-travelled but snowed-in, impossible, at this time, to traverse. At the top of the vista, two figures sit, cold and alone. They’re children. It’s Christmas Eve and they’re lost but not afraid, under an expanse of familiar stars. 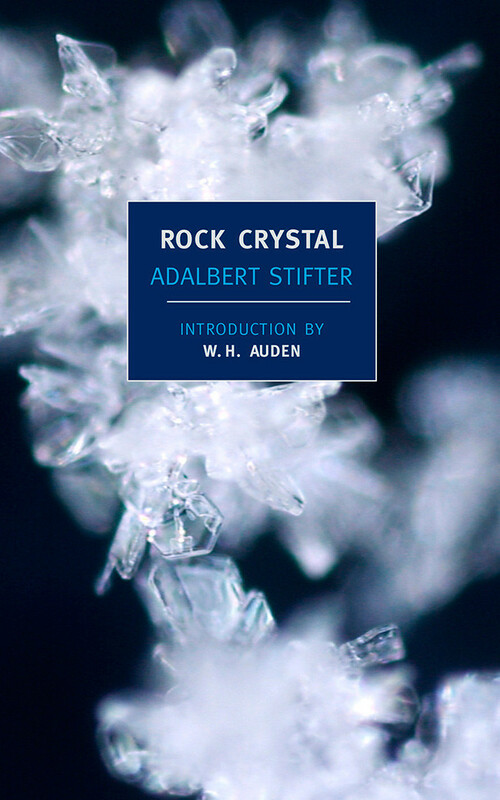 This is Adalbert Stifter’s 1845 novella Rock Crystal, a spiritually symbolic work of pristine artistry. It is rare to read something so pure and unadulterated: it is a text that feels shaped with miniscule brushstrokes, one of singular purpose and effect. Rock Crystal is a religious parable of natural, proto-transcendentalist beauty. Conrad and Sanna, two local children, are to visit their Grandmother in the next town over on Christmas Eve. Their family was unusual in that they were spread between two villages, in an expansion that many of the other townspeople were too proud and rooted to do themselves: “So it came about that the two children went over the col oftener than any of the other villagers and in this way, like their mother who had always been treated as a stranger in Gschaid, the children became strangers too; and were hardly Gschaid children, but belonged half to Millsdorf.” Conrad and Sanna were old enough enough to travel alone, but their mother insisted that they come back before nightfall, especially with signs of inclement weather approaching. As expected, Conrad and Sanna get lost on the return trip and, without people around, find themselves intimately connected with the nature around them. Conrad and Sanna, unwittingly enlightened, await their rescue. Although far from the village churches, they sense God’s presence. The glaciers around them imperceptibly melt, and flow, downstream, their life-giving water.